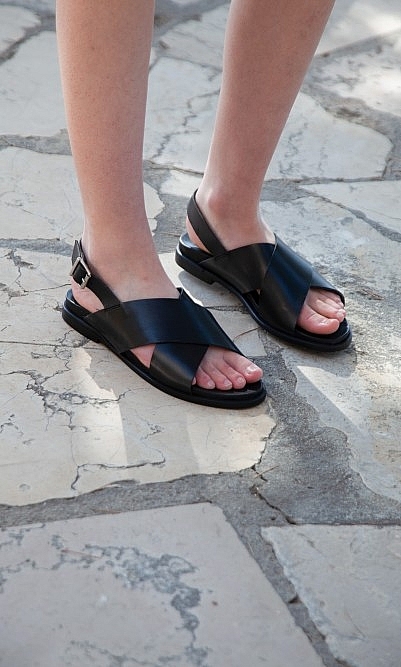 The simplest most versatile Summer sandals. Made from black leather with striking crossover strap and a silver buckle. Soft leather insole for comfortable wear. These sandals reliably accessorise dresses, skirts and pants alike.